Main Event Transportation can be used for everything from providing transportation for a special occasion to airport car services to San Francisco or San Jose. You can even plan and build your own tour of Monterey. Explore Monetary privately and on your own schedule. You can use our hourly charter services to create your own tour and see everything Southern California has to offer in a luxury vehicle. Our fleet includes Mercedes sedans, Cadillac Escalades, limousines, shuttles, executive vans, and executive coaches (great for large groups, seats up to 32 passengers). Design your Monterey tour and check out some of the most popular tourist spots in the area including Cannery Row & Old Monterey. Cannery Row is the high-end waterfront section of Monterey that was originally the site of sardine canning factories. Old Monterey is the heart of Historic Downtown Monterey and home to the Old Monterey Marketplace. An hourly charter service can make stops all across Monterey Bay to see all the most popular sights. Avoid drinking and driving with a wine tour of Monterey. Whether you’re looking for a wine tour for a huge group or just a couple, Main Event has a great option for your unique needs. Monterey is home to over 45 wineries that produce some of the best wines from around the world. Check out the vineyards in Monterey, Carmel Valley, Salinas, Soledad, and more. Whale Watching is a popular past time in Monterey Bay. Charter boats are available in Monterey’s Fisherman’s Wharf, and Main Event has the transportation to start your Whale Watching journey. 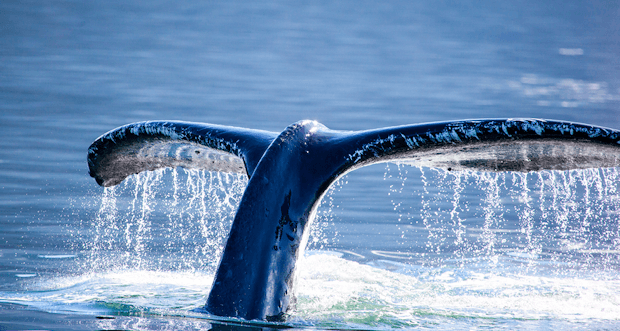 You’ll never miss the boat again with one of our Whale Watching car services in Monterey. 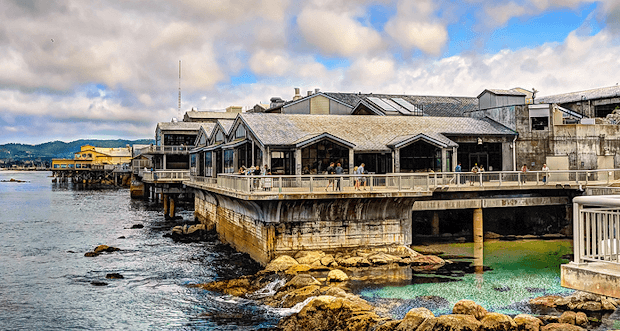 The Monterey Aquarium (located in Cannery Row) is one of the top tourist destinations in the area. Exhibits include stingrays, jellyfish, sea otters, great white sharks, and more. The aquarium also features an Open Sea gallery to the open-water ecology of Monterey's Outer Bay. Reserve a Monterey Aquarium car service today! Heading out on the waters on a Monterey Bay Cruise? We can provide luxury car services to start your cruise along the bay. Cruises include 1 hour and 2 hour bay cruises, sunset cruises, dinner cruises, and more. Don’t worry about parking or driving by reserving a Monterey cruise car service with Main Event Transportation. Still looking for a something to do in Monterey? Main Event also provides golf & leisure transportation!